Lady Gaga Roll | That Yum Factor! 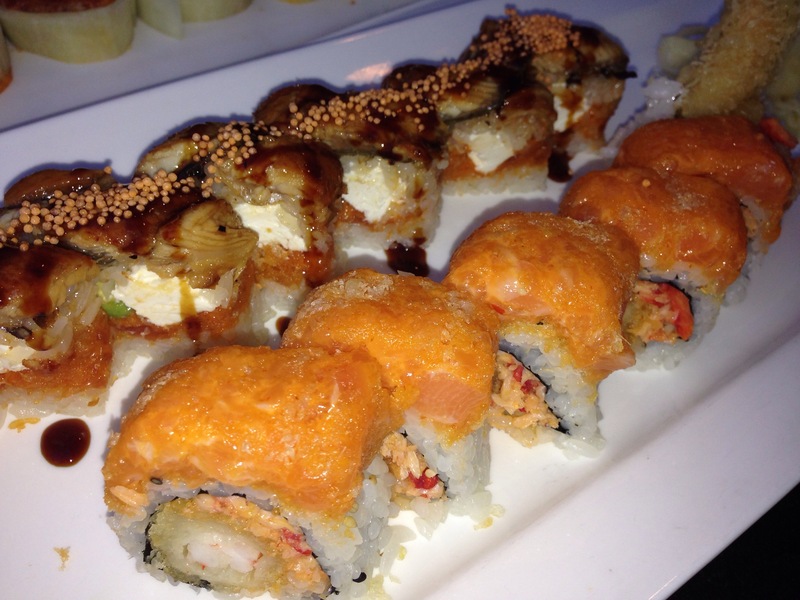 If you want an endless assortment of specialty rolls to choose from, go to Ayame. The various arrangements they have is plentiful and satisfying. 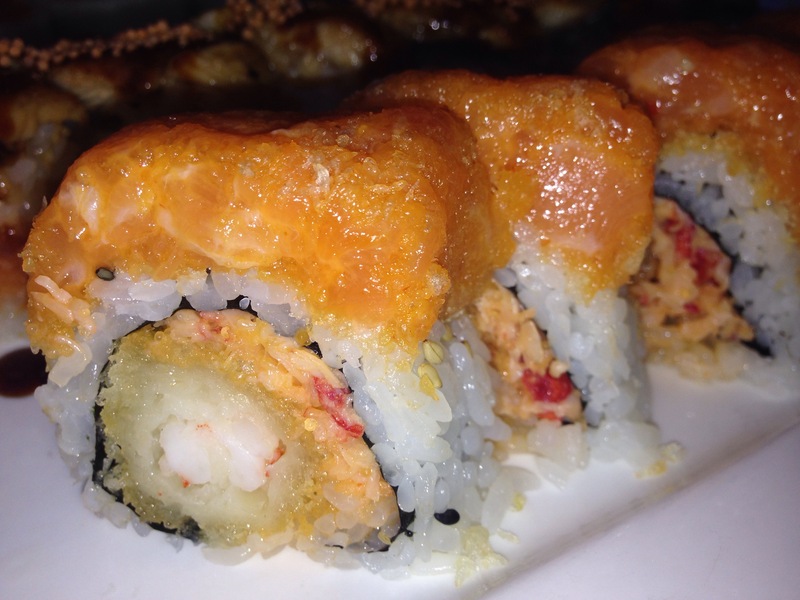 My particular favorite is the Lady Gaga roll which consists of King crab, shrimp tempura, spicy salmon, and honey wasabi sauce. It is safe to say there is no “Bad Romance” here! You know what puts the icing on the cake (or the soy sauce on the roll)… the fact that it is a bring your own. I am happy to report I am on my way there tonight and will be picking up a nice, cold bottle of white wine to accompany my dinner. It will be myself, my friend, my Pinot, and my Lady Gaga. Posted in Hudson County - NJ and tagged Hoboken, NJ on August 11, 2015 by thatyumfactor.